Life has changed significantly since the last time I posted. 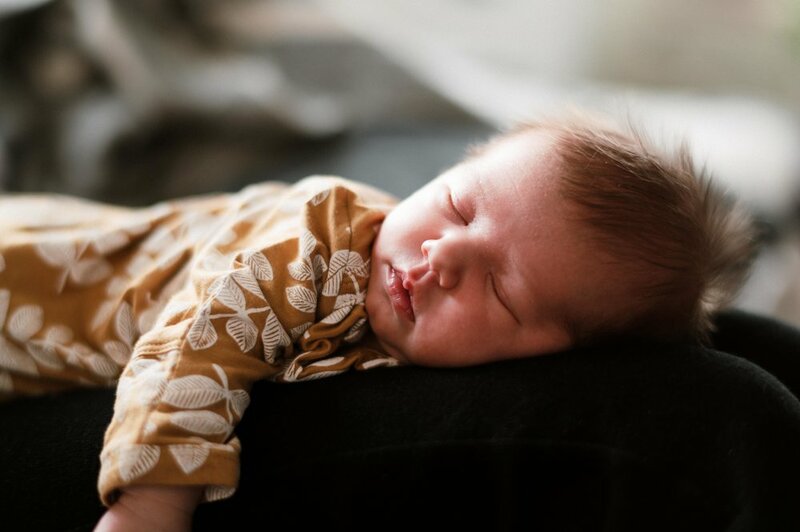 Our baby daughter decided to rush into the world 10 days early and we’ve spent the last few weeks camped out in the family room cuddling and burping her. As her arrival got closer, items on the priority list got lowered or even removed but somethings became even more important—like upgrading our 1900 home with home security basics and home security bells and whistles. When we moved in, we realized that the previous owners had employed some not-so-safe tactics to keep the house secure: screws in the window frames that prevented the windows from opening more than 3 inches, a piece of wood wedged between a wall and backdoor, and a broken front entry light. We didn’t get it done before she was born but it’s done now and ready for the holiday season. The first things to get done were adding/replacing hardware. Having Baldwin window latches installed where there hadn’t been anything other than screws, immediately made the house feel safer. I found brass latches with an aged appearance that perfectly match the original hardware used in the rest of the house. Switching out the front entry light was an aesthetic as well as functional improvement. Since move-in we’ve replaced the mailbox, the house numbers and the front steps. All of the new things have a modern feel. Our new entry light from Portfolio makes our steps safer while also adding to the overall curb appeal we are slowly working toward. The second week we lived here, our electrician came and did a lot of code clean up. Exposed knob and tube wiring was killed and replaced with new electrical. During the clean up, our hardwired doorbell system had to be cut. To replace it with another hardwired system, we would need to open walls. Instead, we found Utilitech White Wireless Doorbells that took minutes to install and have the same functionality as a hardwired doorbell. Once those basic changes were made, we moved onto the smart aspect of our home security goals. It’s pretty incredible how far technology has come. After researching and comparing different systems on the market, we decided to go with Nest. It felt like the most intuitive and cohesive system for what we were wanting. At first, Austin felt intimidated by the installation and wanted to hire a Nest installer but the more I read reviews and instructions online, the more confident I felt that we could do this ourselves. The app made setting everything up extremely easy by walking through each step in real-time. The most intensive part of the home security upgrade was adding electrical to the exterior of our house. We had an electrician come and in a few hours, we had outdoor electrical outlets. It was much simpler than we had anticipated. Once that was done, Austin and his dad took a few hours one afternoon and installed two Nest Digital Wired Outdoor Security Cameras with Night Vision to the outside of the house. The cameras have already come in handy in alerting us to people approaching the house, packages left on the porch, and on a night that we heard a loud noise from inside the house, it was extremely comforting to look back on what the cameras had captured to know that it must have been the duct work making noise, not an intruder. The Nest Secure Home Automation Security Pack might be my favorite part of the smart home install. Being able to set an alarm for when we’re away and when we’re asleep is incredibly comforting. Sensors on the doors and windows alert our phones when they’ve been opened after the house has been armed and they light up when they sense motion at night. 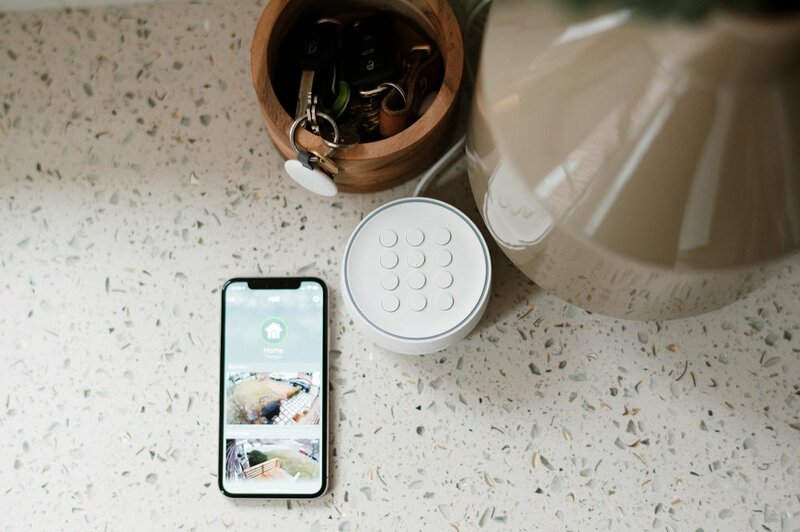 Not only does the Nest x Yale Lock keep our home extra secure by requiring a passcode to open, it also integrates beautifully with the Secure Home Automation Security Pack. Any forced entry will trigger the alarm to go off and when I have my hands full with Hyler and groceries, I can enter my home without a key.